Bhutan is a landlocked country in South Asia, at the eastern end of the Himalayas. It is bordered to the north by China; south, east and west by India. To the west, it is separated from Nepal by the Indian state of Sikkim. While farther south, it is separated from Bangladesh. The capital of Bhutan is Thimpu. 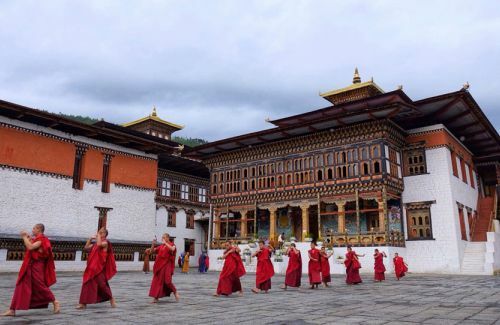 Bhutan is the happiest country in Asia and the 8th happiest country in the world. Bhutan’s landscape ranges from subtropical plains in the South to sub – alpine Himalayan heights in the north. Some peaks exceed 7,000 m. Bhutan is a constitutional monarchy with a parliamentary form of government. Bhutan’s state religion is Vajrayana Buddhism. Hinduism is the 2nd largest religion. Since the 17th century, the official name of Bhutan has been Dru U, country of the Drukpa lineage, the dragon people, and the land of Thunder Dragon. Bhutan is the country where cigarettes are illegal, Chilies are taken as the dish and the rice is red in color. Most of the houses in Bhutan are painted by giant protective penises. Each traveler has to pay US $ 200 per day including over all visiting. You can make your own itinerary and do not have to travel in groups but Bhutan lacks backpacker style like in Nepal. It’s because Bhutanese government has restrictive Tourism policy, it is still one of the best preserved regions of the Himalaya. Visitors will be stuck by the carefree lifestyle and the rich , peaceful, cultural uniqueness. 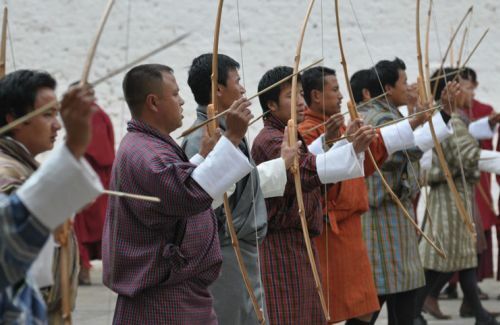 Our Bhutan tours have covered most places of interest. 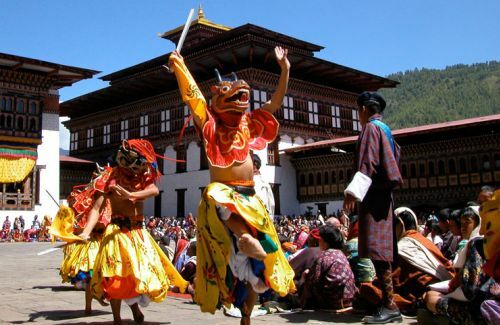 The four main destinations of Paro, Punakha, Thimpu and Wangdiphodrang display the true color of the Dragon Kingdom. Paro is the Bhutan’s international airport. 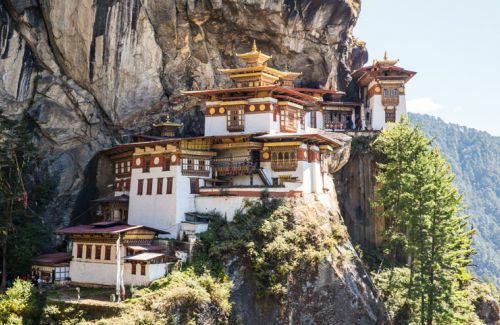 This is the home of Bhutan’s oldest temples and monasteries. 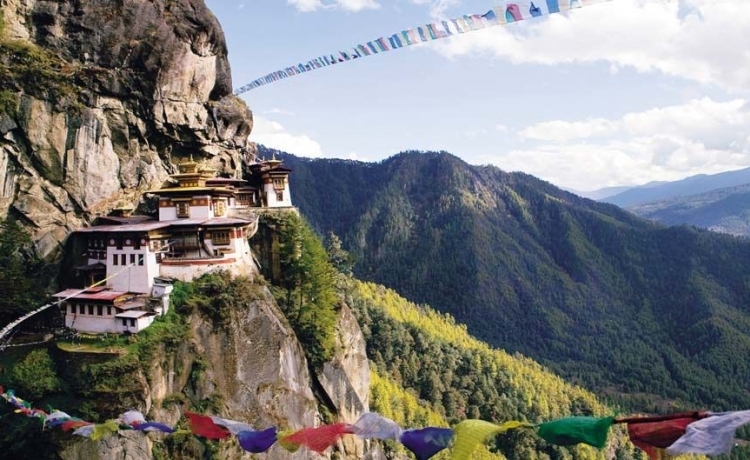 The ‘Tiger’s Nest’ monastery at Taktsang is great to visit. Punakha is the old capital of the kingdom. There is the confluence of two rivers called Pho and Mo Chus (Father and mother rivers). This is the winter home of the monastic community. One can have great Mountain View in between from Punakha and Thimpu. 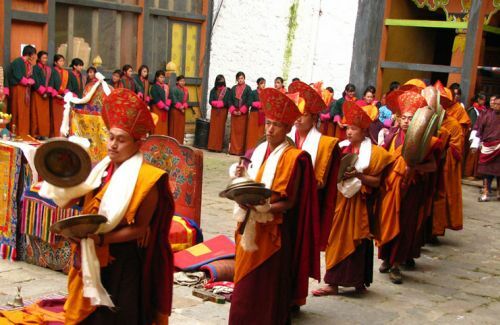 Thimpu is the capital, has more political, commercial influence along with its traditional cultural practices. The 17th century castle of Wangdiphodrang Dzong fascinates the visitors. 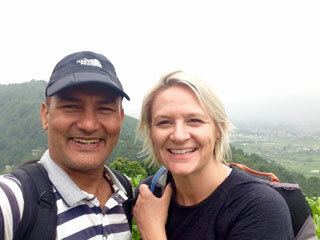 So, these tours could be an ideal tour to you, can be extended whilst staying in Nepal. It is just an hour flight from Kathmandu to Paro. Thimpu, the political, commercial, and cultural capital, is an unusual mix of modern development alongside ancient tradition. The 17th century castle of Wangdiphodrang Dzong stands sentinel to the town of Wangdiphodrang. All these await the visitor.